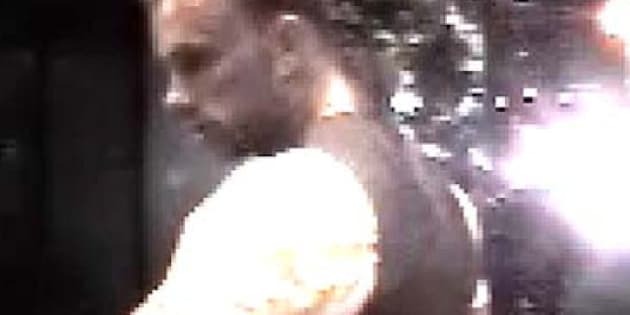 Vancouver police are seeking a suspect in the violent assault and robbery of a security guard and are investigating the incident as a possible hate crime. Police released surveillance images of a suspect in the incident, which took place about 4:30 a.m. PT Aug. 4 at a residential tower in the 500 block of Pacific Street, Const. Jana McGuiness said in a release Friday. The Hate Crimes Unit has also been asked to look into alleged comments overheard during the assault and robbery, McGuinness said. The incident occurred after the guard, a 26-year-old man from Surrey, asked a small group of people standing near the rear entrance of the building lobby either to leave or come inside due to the late hour. He was then attacked by one of the men in the group. The nature of the assault was so violent and alarming that two Good Samaritans intervened, calling 911 to report the incident, McGuinness said. McGuinness said the guard was allegedly punched and kicked repeatedly, and endured multiple knee strikes to his body and facial area over several minutes. The assailant then stole the guard's wallet and cell phone as he left the building. With his shirt torn off, and bleeding from facial injuries and chipped teeth, the guard waited with the two Good Samaritans until police arrived, McGuinness said. He was then taken to hospital for treatment and has since been released. Anyone with information about the identity of the man seen in the surveillance images is asked to call Vancouver police or Crime Stoppers.